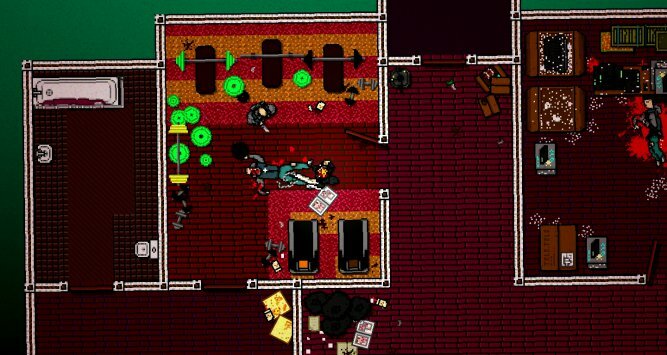 Hotline Miami 2: Wrong Number was officially announced by Dennaton Games. 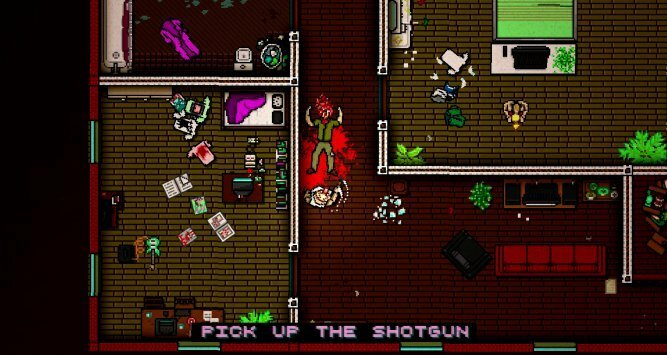 Sequel to last year's top-down shooter, Hotline Miami 2 will wrap up the series' story in a gory, bullet-filled bow. In the first Hotline, players take on the role of an unnamed man known only as "Jacket." He receives mysterious phone calls commanding him to kill mobsters. Over the course of weeks, he raids several mob-owned buildings and kills everyone inside. With each mission, his grip on reality loosens. Don't let the pixelated graphics fool you - it's a very complex game. Jacket can be killed with just one hit so players have to carefully plan out their attack to avoid death. On the other hand, risky behavior and speed is rewarded by high scores, which in turn earn you new weapons or special ability-granting masks. There's no correct way to beat each level, so you'll just have to find your own path by dying over and over. Will and I were both huge fans. As previously reported, Hotline 2 is set in the 1990's. Jacket's killing spree has turned him into an urban legend of sorts. A film crew is trying to make a slasher film based on his exploits. A second group, known as The Fans, idolizes Jacket and wants to emulate his "achievements." Like Jacket, they wear animal masks while committing acts of violence. Players will control characters from these factions and others. "People who just want to play a fun game don’t have to take part in the story if they don’t want to, but people who love stories and details can find a lot of that just by watching," Dennaton's Dennis Wedin told Polygon. 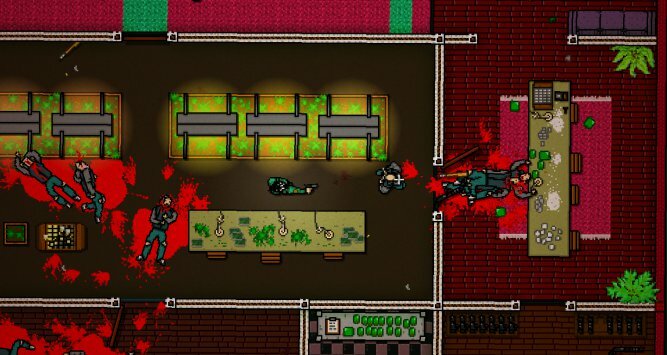 "Since it’s a sequel, we added more gore, more graphics and weapons and stuff like that. We’re really trying to give each stage a personality and more backstory instead of just random apartments." Wedin adds that the game will feature a horde mode. No elaboration was given but, well, you should know what a horde mode is at this point. Players will presumably fight off waves of enemies for as long as they can. I'm hoping that Dennaton adds a map editor as well. They discussed such a feature for the first game but never added it. Giving a toolset to players would be a great way to extend the lifespan of the game. 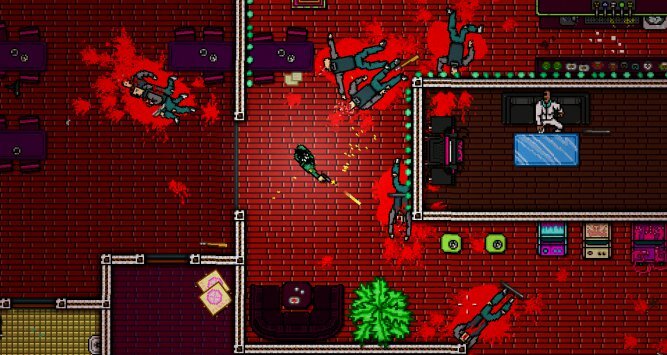 Also, if Miami 2 is really the last game in the series, a map editor would be our only shot at getting new content in the future. 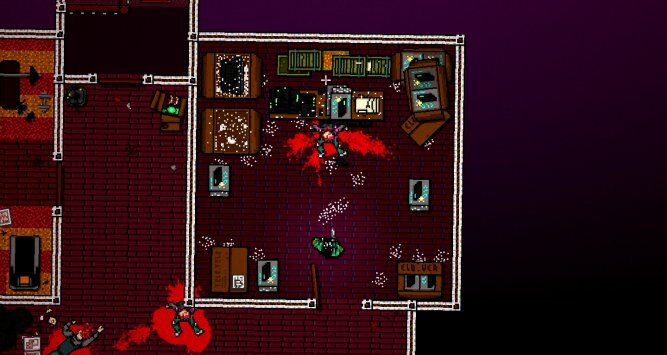 Wrong Number will arrive in late 2013 on PC, Mac and Linux.